Who are you? Sometimes we get the most meaningful understanding of who we really are through journaling our values, experiences, insights and wisdom. Whether it's for the benefit of oncoming generations or for a deeper reflection of ourselves, writing our thoughts and understanding of life can be very valuable on many levels. These are critical years. We’re losing one of our richest, most meaningful natural resources - the wisdom of our mothers, fathers and grandparents who fought in the war, dug deeply into life through the depression years and experienced the transition from horse and buggy days to our wired world. The wisdom of our elders are the wells from which we draw understanding, knowledge and warnings against repeating the evil elements of history. Unless their conclusions on life are recorded, they will be lost. Many people are forgotten soon after the last shovel of dirt is thrown on their caskets. It seems such a shame that we die at the very point in time when we have learned the most. 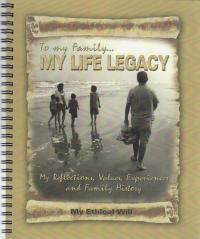 With those thoughts in mind, I created a legacy journal with ethical will resources called, “To My Family...My Life.” It’s a tool through which people can have a voice of wisdom into the lives of their descendants, a vehicle through which their essence can be remembered. Whether you consider yourself a writer or not, doesn’t matter. It is the thoughts and information you convey that your children will value - not the punctuation or the way you write. Be yourself. Write what comes from your heart. 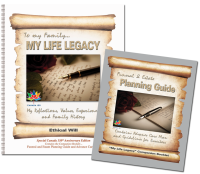 “To My Family...My Life” features all the regular space for family history, plus space for sharing thoughts on over 40 topics and bestowing a blessing on your family, family recipes, special messages to friends and family members and space for favorite family photos. While property wills provide a framework for dispensing your finances and property, ethical wills provide a framework for dispensing your blessing on your family and the wisdom, values, faith and insight of a lifetime. 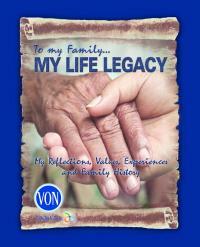 My Legacy Links is a great project to bridge generation gaps. Schools can use it to bring appreciation and understanding to the generations and as a community service project for their students. Volunteers can take the journals into retirement homes, therapy centres and individual homes to help their friends and loved ones record wisdom, values and experiences while there is still time. Once completed, the person has a valuable gift to give to his or her family for Christmas or another special occasion. 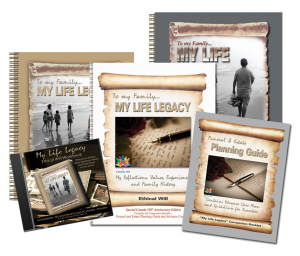 For those looking for a mentoring tool, “To My Family...My Life” makes a wonderful vehicle for communication between the generations. The hope is that many young teenagers will spend time with seniors recording their time-tested wisdom. It could provide increased purpose for visits. It is a great idea for a special gift of the heart for any occasion — a wonderful retirement gift. Families who find it difficult to engage an elderly or ability-challenged family member in conversation can find their visits part of an exciting journey when they adopt the Journal as a project for both of them to complete, perhaps at the rate of one page per visit. Organizations will recognize their customization and distribution of the Legacy Journal as an impartation of the values that made our country strong, to the oncoming generations – their invaluable contribution to the days and years ahead. 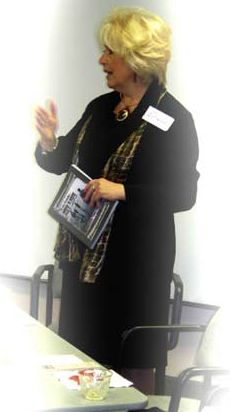 Used as tools for volunteers in hospices and long-term care facilities.